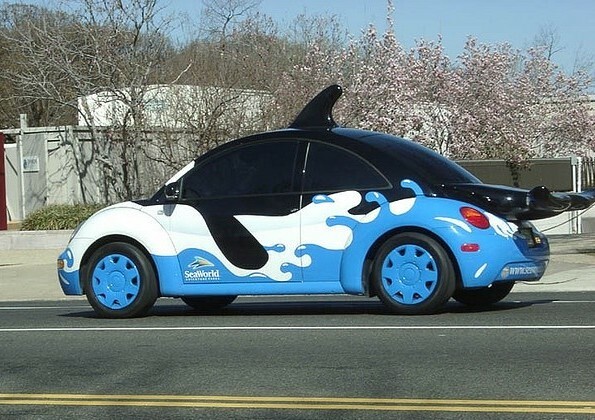 It’s not odd for vehicle owners to put their own touch on their cars and make it their own, but when it comes to having your very own VW Bug – sprucing up your whip goes to a whole ‘nother level! 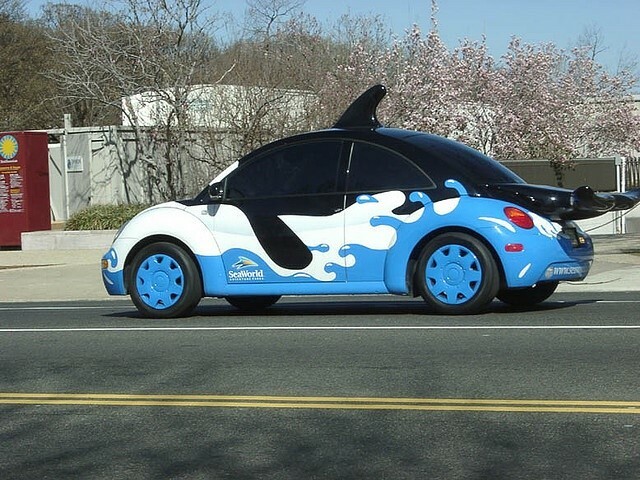 We’ve seen Beetle drivers spice up their car big time – and we aren’t just talking new rims or tinted windows. 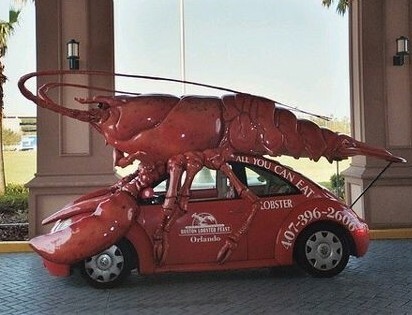 Maybe it’s the already unique look of the Beetle that inspires owners to do the unthinkable and make their vehicle truly one-of-a-kind. Whatever the reason may be for this trend, we aren’t complaining. In fact, we are more than impressed! 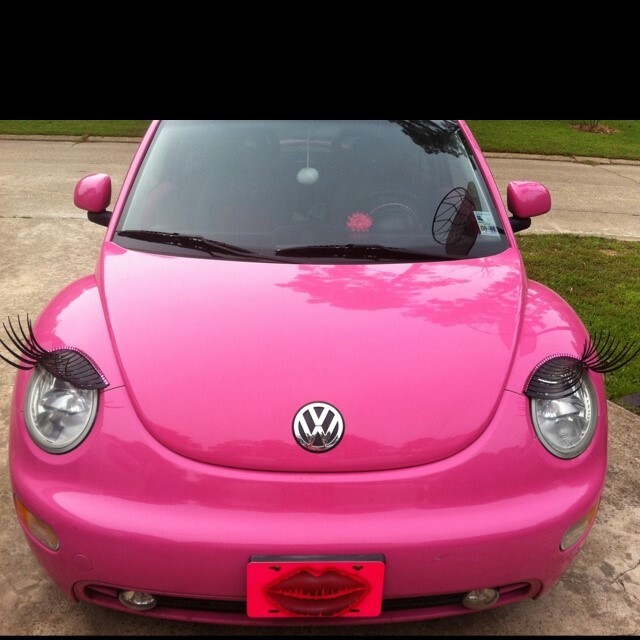 It seems like there is no limit to the different ways people have personalized their VW bugs. Expectations have been so far exceeded, nothing surprises us at this point. And when you think you’ve seen it all, trust us, you haven’t. 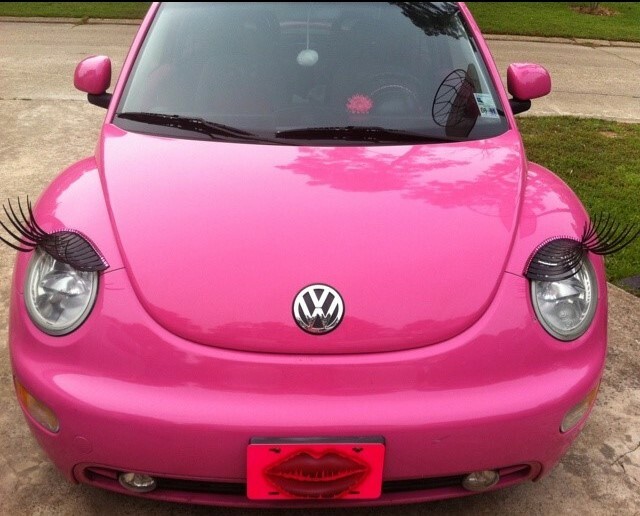 Eyelashes, lips and a hot pink paint job! This personified Bug is as cute as can be! And honestly, what other car can pull off bright paint jobs like lavender, hot pink, pale pink and yellow? One word: Punny. 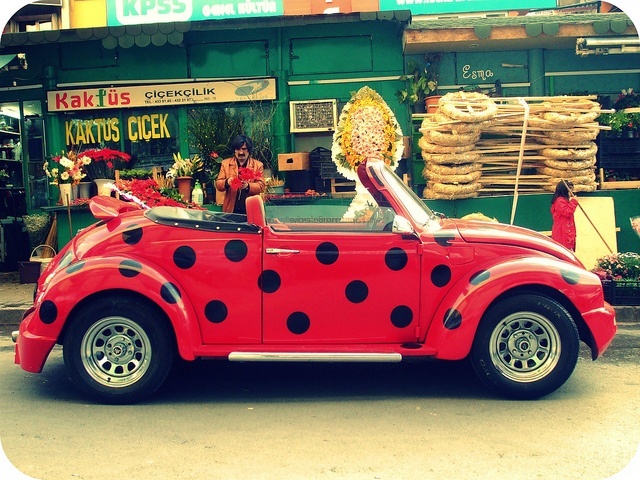 We love that this owner isn’t kidding when they tell others they drive a Ladybug. Can you imagine the confusion? 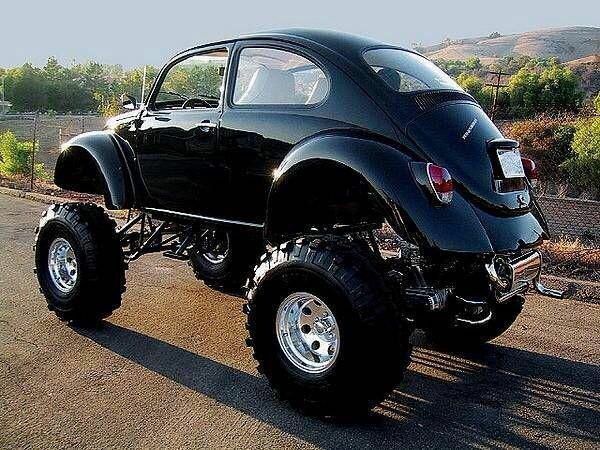 And when you want to combine the unique shape of a Beetle with the height of a truck, you get the best of both worlds. What’s cozier than wrapping yourself up in a colorful quilt? Driving one. 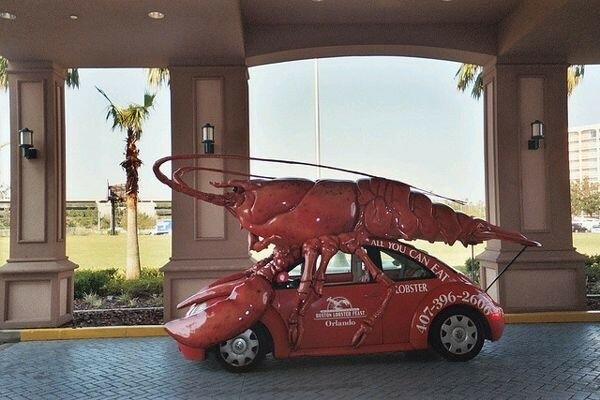 Larger than life Lobsters. Shamu shaped Bugs. When it comes to branding, these vehicles take the cake. 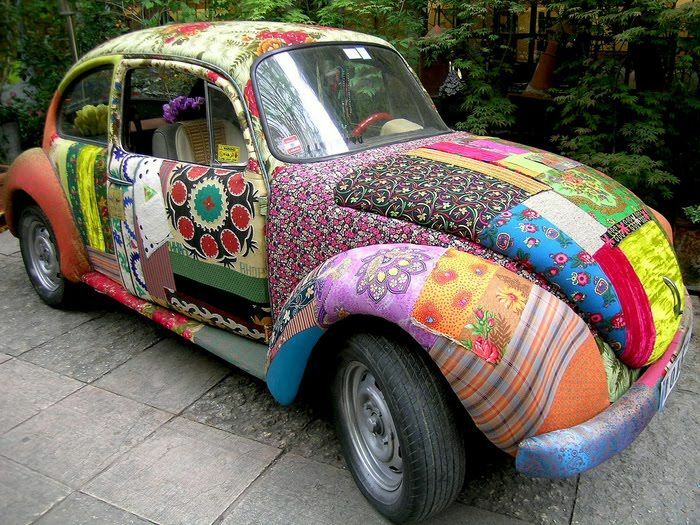 VW owners are perhaps some of the most creative individuals out there and are a breed all their own. The Volkswagen Beetle is a reflection of their owners personality and we think it’s pretty awesome at what some are capable of becoming! You are currently browsing the archives for July, 2014.